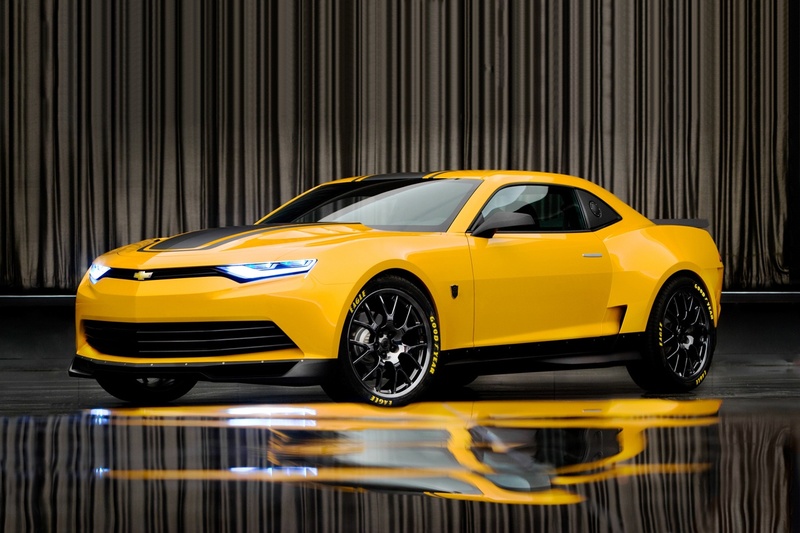 Breakups can be hard and it appears General Motors is taking Bumblebee’s return to a Volkswagen Beetle pretty bad as the automaker has decided to auction four Camaros from the popular Transformers franchise. 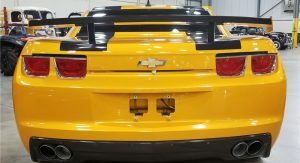 There’s no word on an auction estimate, but the first Bumblebee helped to promote the launch of the fifth-generation Camaro which made its return after an absence of nearly eight years. 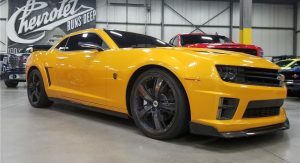 Following its appearance in the original live-action Transformers movie, the car was updated and reused for Transformers: Revenge of the Fallen. 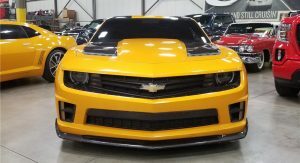 The Camaro from Transformers: Dark of the Moon was largely identical to its predecessor, but the model from Transformers: Age of Extinction is unique as boasts a streamlined exterior with concept-like styling. 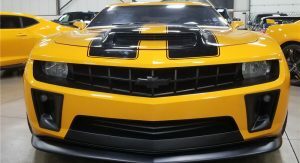 The final Camaro, from Transformers: The Last Knight, acted as a preview of the 2019 model. 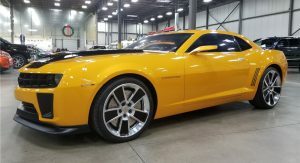 Barrett-Jackson didn’t say much about the movie cars, but each one features a V8 engine which is paired to an automatic transmission. 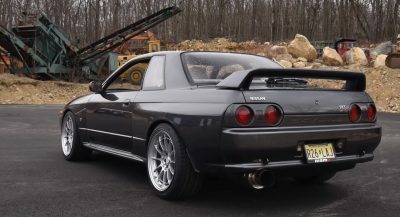 They all send power to the rear wheels as should be expected. 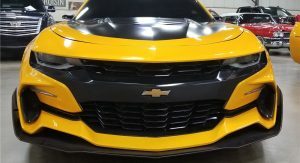 All four cars are being sold with a scrap title and that means they aren’t street legal. 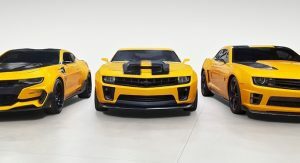 Despite this, the models will likely bring in a lot of money as the Transformers franchise – excluding Bumblebee – has brought in over $1.4 (£1.1 / €1.2) billion at the box office. It’d MUCH rather have the VW Bug from the new movie. I KNOW which one I want (& To be honest there is really only one that I actually want). I like this one the best too. Definitely this one, it’s futuristic but doesn’t have as many angles as a ball of tin foil. 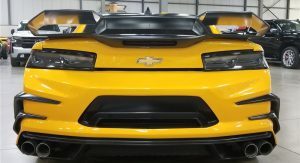 Well, we certainly know where the first gen ZL1 got the inspiration for its front end, as well as the god awful facelift of the 2019 model before GM decided to tweak it. 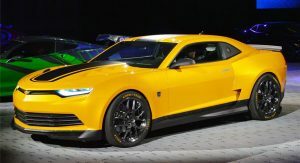 The first Bumblebee was a hint of the 5th gen Camaro, the RofF one was a hint of the ZL1, the DotM one I’m not sure, the AoE previewed the sixth gen camaro and sadly, the last one previewed the afwul facelifted 6th gen.
Also note that the first two are based on the 2006 concept, the rest are based on the production 5th and 6th gen, my favorite is the Revenge of the Fallen one. Bad movies but somewhat good cars, except for the last one. This kinda turns me off, basically all you get is display vehicle. 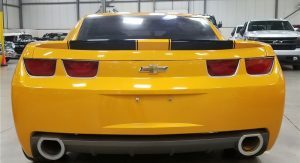 Most prop cars and even marketing show cars (SEMA) cars are scrapped. 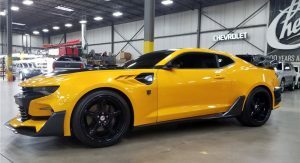 They do not have proper VIN or registration, so legally you can’t drive them at all. 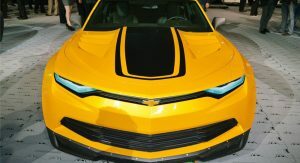 I am poor but if I had the money I’d pass hated Bay-bee. lol.